share the latest marketing tips, tools and strategies that GROW events. In this episode, event sponsorship expert Troy Schooley from Pittsburgh Three Rivers Marathon (P3R) joins us to answer some of the most frequently asked event sponsorship questions from event directors. Troy is the senior vice president of partnerships and sales at P3R and is responsible for doubling the size of the sponsorship portfolio since joining in 2013. Are you wondering which groups of people on Facebook you should target to get the best return on your advertising spend? 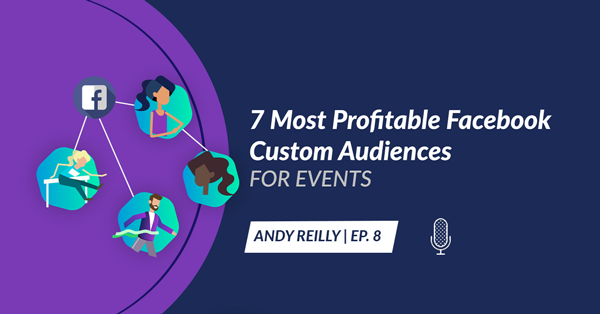 In this episode, we break down the seven Facebook custom audiences that we’ve found to consistently deliver the best return on ad spend for events. Tanner Bell from Ragnar Relay joins up to talk entrepreneurship, branding, and marketing. He takes us through his ideation process and talks about how he’s created a massive amount of brand loyalty through his running series The Ragnar Relay.